It was a chance encounter with a woman wearing a button that read: DISARM THE TOY INDUSTRY, in angry block red letters. It’s all a Government plot to prepare the Innocent for evil, Godless War! I know what they’re up to! Our committee is on to them, and we intend to expose this decadent Capitalistic evil! She told him as she handed him a smudged pamphlet denouncing the U.S. as a citadel of warmongers, profit-greedy despoilers of the young and promoters of worldwide Capitalistic decadence, all through plastic popguns and Sears Roebuck fatigue suits for tots. It was this encounter that led Jean Shepperd to recount his youthful almost maniacal desire for a Red-Ryder carbine-action range-model BB gun, and the lengths he went one Christmas in efforts to obtain one. 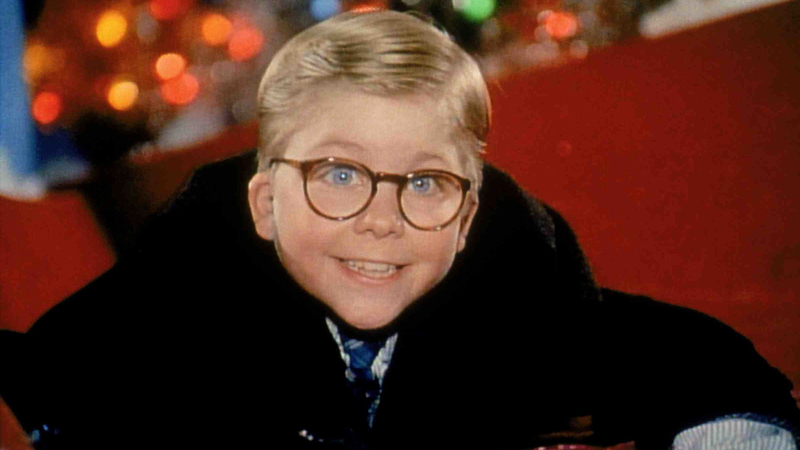 He then wrote the autobiographical essay, Duel in the Snow, or Red Ryder Nails the Cleveland Street Kid, which became the basis for A Christmas Story. So thank you crazy lady for helping give us a classic. 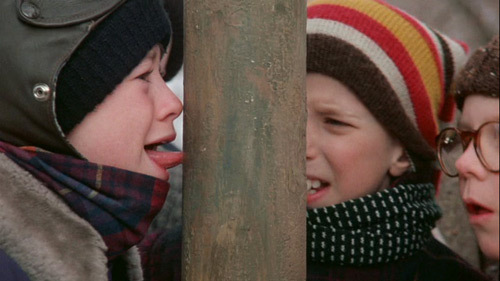 Have a Merry Christmas, I triple-dog-dare you. 104,812 idiots have been here.